Saadet Turkoz is totally unique. She sings and improvises in Kazakh and Turkish languages. 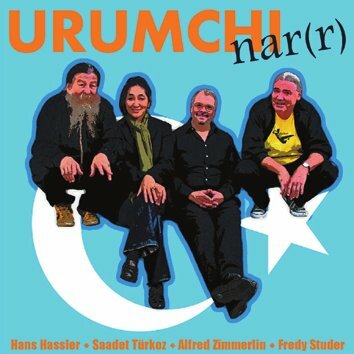 The band Urumchi was co-founded by the late saxophonist Werner Ludi whose memory this CD is dedicated to. Saadets originality is matched by the brilliant Swiss veterans of new music playing accordion (Hans Hassler), cello (Alfred Zimmerlin) and drums/gongs (Fredy Studer). From unashamed lyricism through shaman-like incantations to controlled chaos - I bet youve never heard anything like this before.